If you are using Ionic, follow this guide. If you aren’t, follow the guide starting at the “keytool” step. You will have to pay $25, this is not avoidable even for beta. Cheap compared to $99 for Apple. Warning, Apple App Store hates developers. Unfortunately, you can’t truly call yourself a mobile company until you are deployed to the app store so we’ll just have to push through this one. Versions: Apple changes their process almost every time they update their OS or xcode so make sure the tutorial you are following matches the versions you are on. The safest bet is to always have the most up-to-date version of xcode. Naming Convention: When you apply for an app id (see the tutorial for this) you’ll be asked for an app name, make sure this matches the name in your config.xml file! Otherwise you’ll have to recreate the app id and provisioning certificate over again later. This name usually looks something like com.domain-name.app-name – this one cost me a few hours, do not make the same mistake! You’ve been warned. Internal vs. External Testers: Once you get your app uploaded, make sure you turn on “Testflight Beta Testing” under Prerelease/Builds AND submit for beta review (this process takes 1-2 days the first time but when you make updates, they will not need to be reviewed again). Until you are reviewed and approved, you will not be able into invite external testers. BUG! 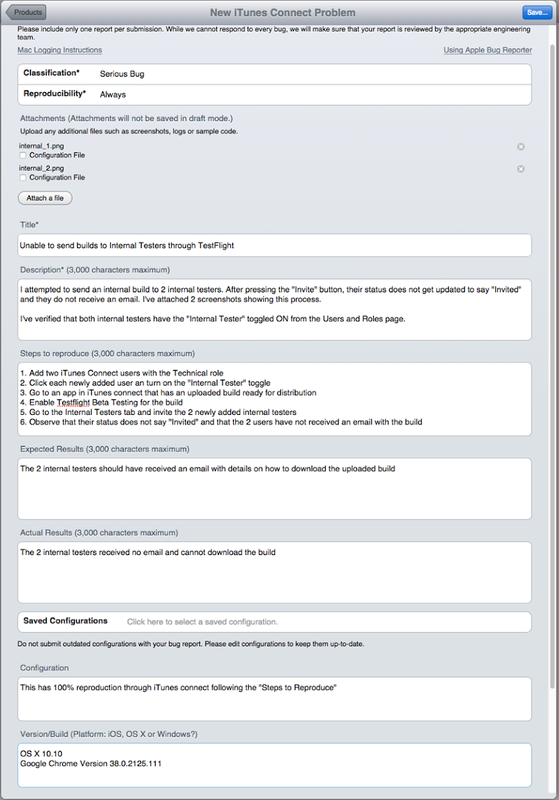 At the time of this post, Apple has just rolled out Testflight for developers to Beta with. There are lots of bugs and it may throw you off because it’ll feel like you missed a step. One specific bug relating to this part of the process is not being able to invite internal testers, see details in this bug report my buddy @lemikegao. Note: if you are part of the Apple developer program, help us by submitting this bug as well! The more reports of this bug they get, the more likely they are to fix it sooner. Play Store: Create a Google group, add them under the Beta Testing tab in “Manage list of testers”. Now anyone with accepted into the group can download from the store using a link. This is initially a very difficult process and serves as a right of passage for mobile developers. Good luck and feel free to post any additional issues you run into in the comment section and I’ll do my best to address anything I can! P.S. 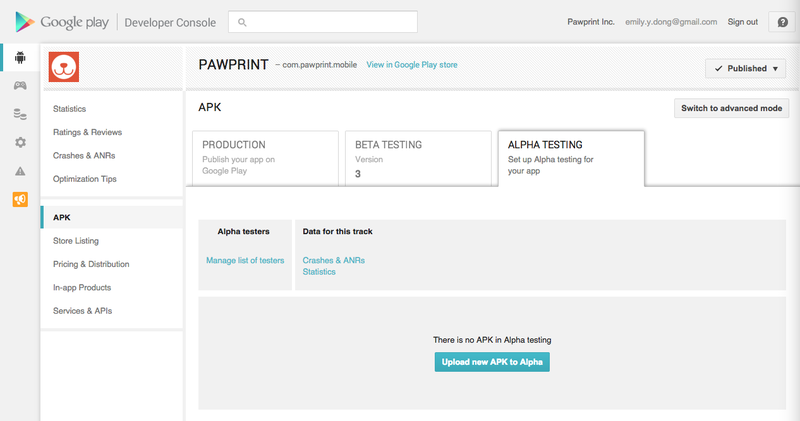 If you are interested in joining the Pawprint beta, please register your email to our list at http://getpawprint.com/ and we’ll follow up with you to get you on one of the platforms.